Apart from regal palaces, India also converted many of her ancient Havelis and old forts into heritage hotels. Each of these properties has its own story to tell, showcasing various styles of architecture, helping you understand how complex the country truly is. It is fascinating to see elaborate designs and upholstered interiors in each of these hotels and discover how the rich once lived in India. 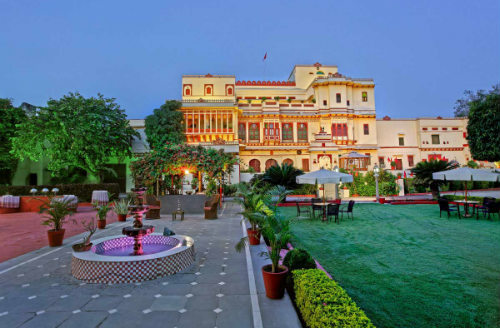 Rajasthan is home to some of the best heritage hotels in the country. The land of forts and palaces presents stunning architecture at every turn, and there is no better way of exploring the Indian culture than staying in one of the many heritage hotels such as the Gorbandh Palace, Fort Barli, Ranvas, Neemrana Fort Palace and the Nimaj Palace. And even if a trip to Rajasthan isn’t on the cards, you can always come across heritage hotels in other parts of the country. Each region has its own say on heritage hotels. 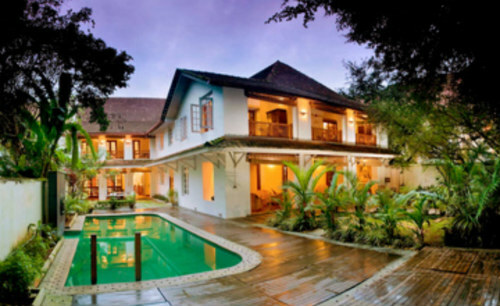 Kerala converted its traditional houses into heritage properties while places like Darjeeling and Munnar transformed old tea estate houses into hotels. They might not be as elaborate as the Royal Palaces of India but are as beautiful and mysterious as any other property in the country. The House of MG is the only boutique heritage hotel in Ahmedabad that is centrally located and has 38 luxuriously appointed rooms offering all modern amenities in a grand but homely ambience. Awarded ‘ Travellers’ Choice’ by Tripadvisor.com almost every year, staying in this restored 20th-century property is a unique experience. 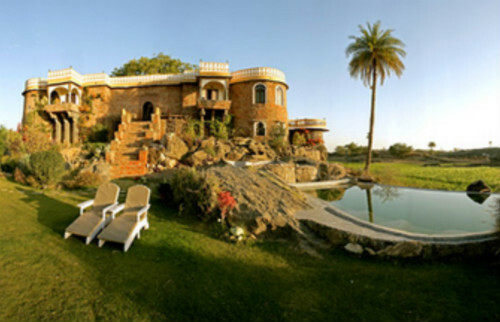 The Hill Fort Kesroli is a unique heritage hotel in Alwar that dates back to the 14th century! The seven turreted Hill Fort-Kesroli is one of India’s oldest buildings you can stay in! 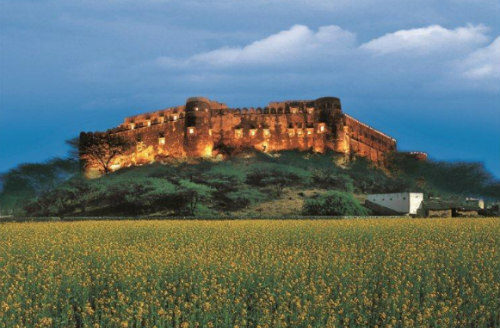 Located atop a hill amidst a charming village, the Fort offers commanding views of surrounding hills and the fields with hues of greens yellows and browns. 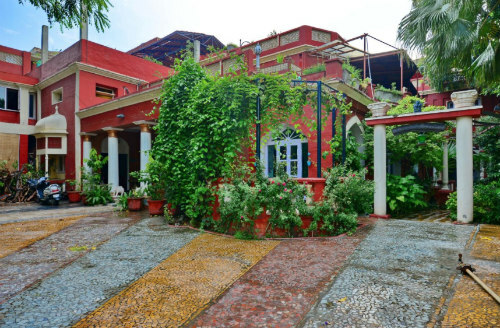 Just off the Mall Road, down an easy-to-miss narrow lane, what used to be a charming drive through the private estate of Rai Bahadur Rattan Chand, lies a quaint, humble haveli, Ranjit’s SVAASÁ. Hidden behind an old rustic wooden gate and enveloped by local residences all around, the exoticism of Ranjit’s SVAASÁ silently echoes within the old trees that overshadow its innate brick-redness. Run by the Mehra family themselves, Ranjit’s SVAASÁ is a destination spa haveli, with a history dating back to over 200 years. 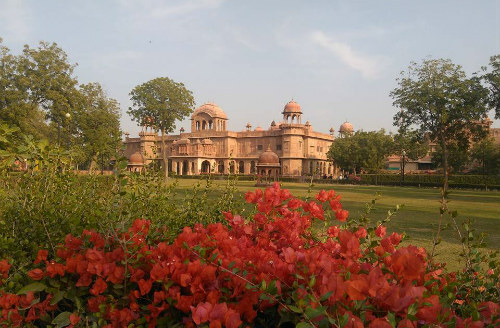 Located in the Vindhyanchal Hills, surrounded by graceful forests of Flame of the Forest & Jaracanda overlooking the farmlands in the valley, Castle Bijaipur 40kms from Chittorgarh is the ultimate place where you can experience history, nature, and hospitality. Narendra Bhawan, in its new avatar, retells the story of the last reigning Maharaja of Bikaner, His Highness Narendra Singhji. Unconventionally curated, it is composed of Narendra Singhji’s memories from his travels to destinations near and far. 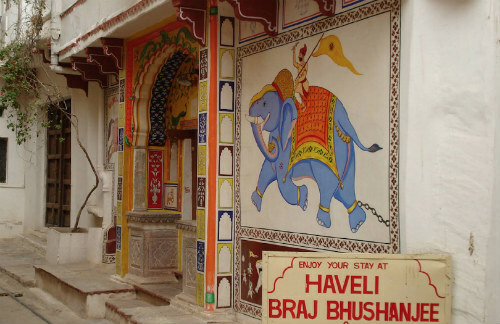 Hotel Brij Bhushanji Ki Haveli, the 50 years old haveli turned hotel in Bundi. 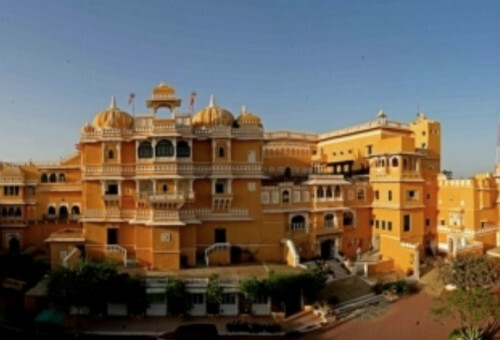 The hotel is located near the Bundi palace & offers a picturesque view of the city. Staying there is really a comfortable & unforgettable experience. The hotel has total 20 rooms. All the rooms are well furnished and equipped with modern amenities. Maidens Hotel is one of Delhi’s oldest hotels, built in the early 1900s, and has retained its colonial charm and architecture. Its spacious rooms with high ceilings are unique when compared to the box-sized rooms of modern hotels. 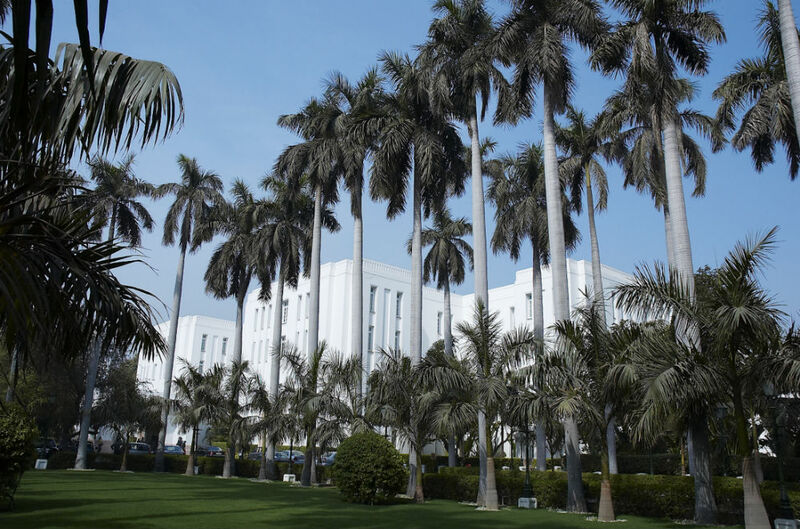 Awash in white, the Imperial Hotel Delhi is a unique blend of old and new having successfully preserved its past to provide its guests with a lifetime of memories. It is a marvelous mélange of Victorian, colonial and art deco styles in its interiors. The Imperial Hotel New Delhi built in 1931 by one of Sir Edwin Lutyen’s associates Blomfield it was inaugurated by Lord Willingdon in 1936. 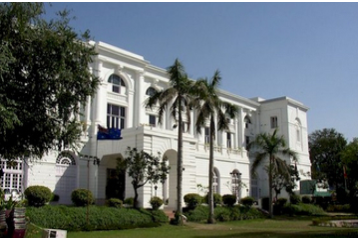 The Imperial Hotel embraces India’s history, its a legend in it’s own right, located near Connaught Palace. The Imperial Hotel is known for its contemporary colonial style. Vivanta by Taj Ambassador, New Delhi creates quite a buzz among business travellers. While Delhi’s main Connaught Place is just a 10-minute drive away, it is located close to several of Delhi’s prominent landmarks. 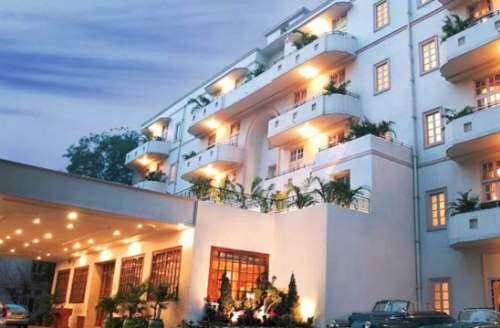 One of the best midrange heritage hotels in New Delhi in a quiet, efficient way from the moment you step in. Our lobby is a unique mix of chic and classic. 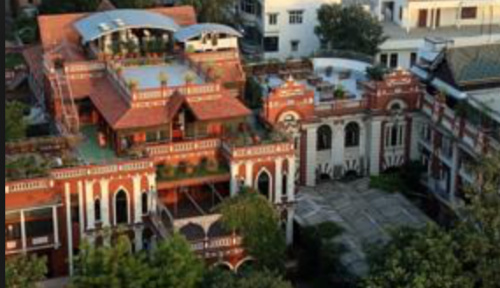 Haveli Dharampura gives you the opportunity to get a feel of the Mughal era through the architectural beauty of the Haveli teamed up with the amenities of the present era. Delight in the sights and sounds of old Delhi. Explore the bazaars lined with colourful shops. Raas Devi Garh is a stunning hill-top fort palace that has been fantastically restored into a luxurious, sophisticated and impossibly romantic retreat. Nestled in the Aravali hills, 28 kilometres away from the bustle of Udaipur, this all-suite luxury resort assumes the look of new India with an emphasis on design and detail. The interior of the 18th-century fort palace of Delwara has been transformed in a minimalist contemporary manner while conserving the ancient exterior. 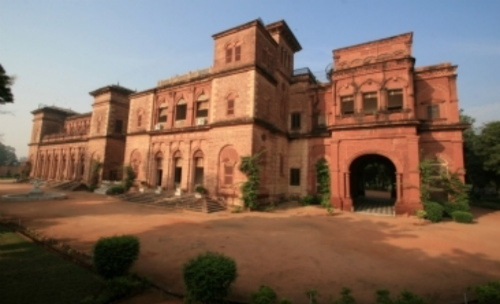 Deogarh Mahal was converted into a hotel by the present owner Rawat Nahar Singh. A part of the Mahal is still occupied by his kin. The family is closely associated with the hotel and personally supervises and monitors the ongoings. The hotel has 50 Rooms, 3 Royal Suites, 2 Studio Suites, 23 Deluxe Suites,22 Deluxe Rooms). Each room is comfortably elegant, with attached bathrooms fitted with modern amenities. All restorations and alterations on the Mahal were carried out, bearing in mind the old architectural style of the building. This stunning property has a central courtyard that has a small pond in the middle of it during the summer/monsoon, and this becomes a delightful cosy fire to sit around during the winter. There are three large rooms – a fourth is used as an indoor sitting area but can also be converted into a comfortable extra room. Each one, named after Indian ‘raags’, has been uniquely decorated with luxuriant fabrics and bold colours – this particular combination of classic Rajasthani furnishings combined with modern designs make them the ultimate in luxury and comfort while retaining a typically traditional feel. Fort Dhariyawad, a 16th-century splendour was constructed at the behest of Sahasmal, the second son of Maharana Pratap- the greatest warrior of the Mewar region. 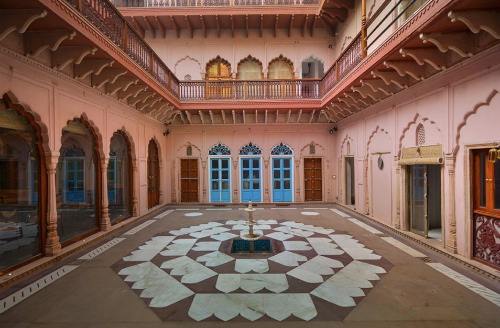 The 24 rooms decorated with period furniture retain the Rajput ambience while offering all the contemporary comfort of a luxury hotel. The rooms have attached bathrooms and all modern amenities. 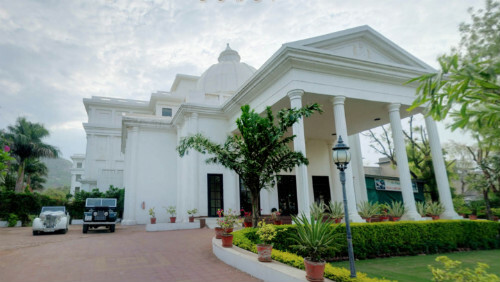 Raj Niwas Palace heritage hotel located a short distance to Agra in the town of Dholpur. Dholpur is named as Dhawalpuri after its ruler Dhawal Deo, once the ruler of the city, its name was distorted with the passage of time and got its present name Dholpur. The interiors are all inspired by traditional design themes. The rooms are very spacious, with high ceilings. Within these luxurious surroundings are found modern amenities, a blend of contemporary comfort and traditional style. 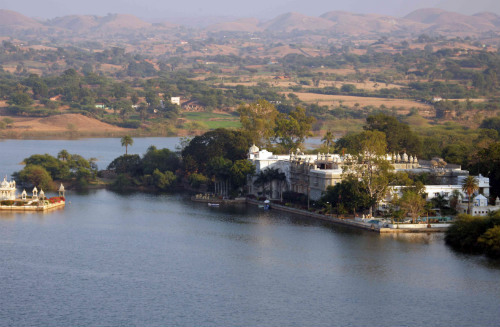 Udai Bilas Palace Dungarpur nestled an idyllic location with the blue waters of Gaibsagar lake on one side and a cove of private reserve forest on the other. 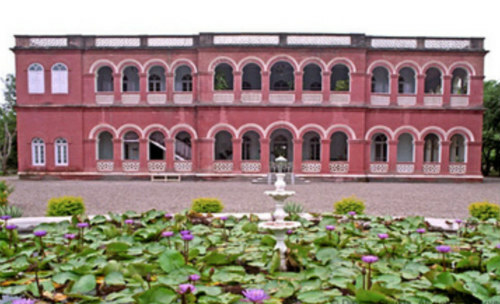 Udai Bilas Palace is the embodiment of the old world charm of princely India. 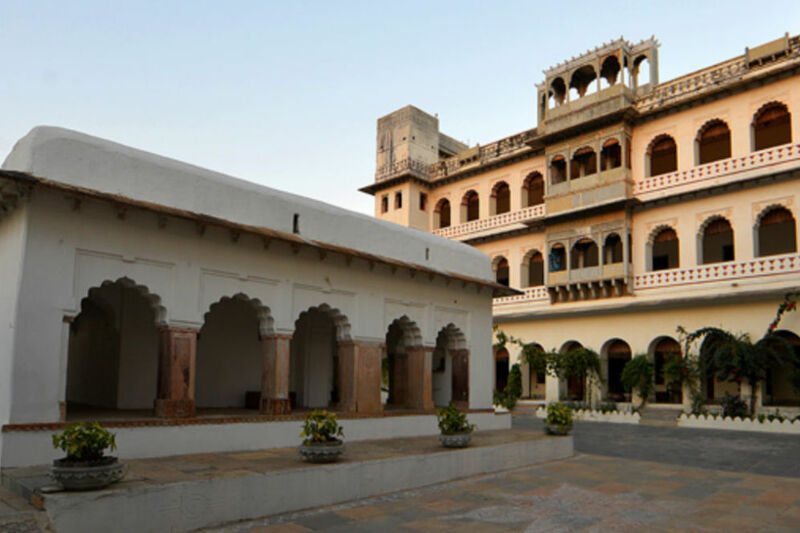 Udai Bilas Palace, Dungarpur, is a Heritage Hotel in Rajasthan India about 120 Kms. from Udaipur Airport. The Real Marigold Hotel Kerala used in the BBC second series is the Le Colonial hotel, located by the Chinese fishing nets of Fort Cochin, is probably Asia’s oldest colonial house – dating back to 1506. Located right next to Saint Francis Church, it is said to have housed both the Saint and Vasco da Gamma. After 150 years the Portuguese Governors’ home, it was one of the very few houses not to have been destroyed when the Dutch came to Fort Cochin. The Orchard Palace in the Huzoor Palace estate of the Maharaja of Gondal was the guest annexe of the main palace. It has been converted into a heritage hotel owned and managed by the family. It has large, high-ceilinged rooms and antique-furnished interiors. Get welcomed in true Gwalior tradition. Enter at this 120-year-old palace, which has played host to the King of England and is now a heritage hotel. 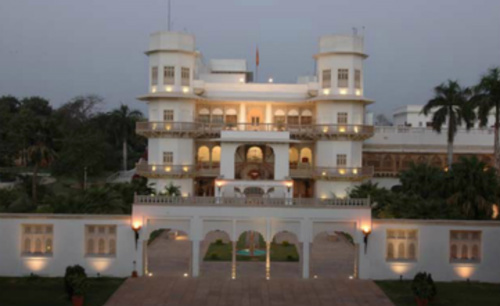 Located on a lush 9-acre landscaped estate in Gwalior, beside Jai Vilas Palace, this white-and-yellow palace was built in 1880 by H H Maharaj Jayaji Rao Scindia (Scindia Dynasty of the Marathas) and since then has hosted royalty and dignitaries on myriad occasions. This regal palace, rich in history, is outfitted with artistic stone carvings and delicate filigree work.